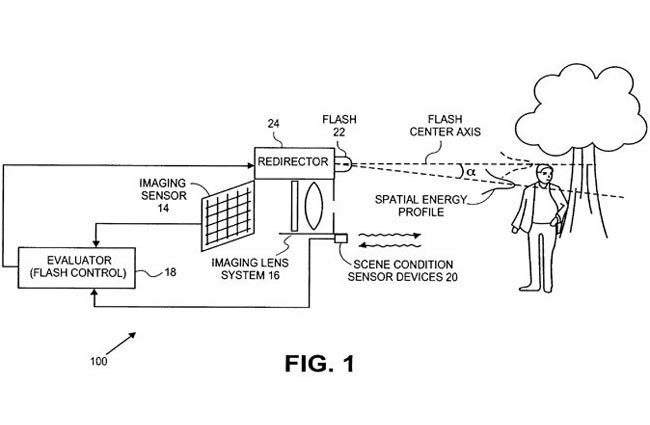 A new patent has been applied for by Apple detailing a new flash system that redirects light towards the intended photo subject rather than blanketing the area with a large flash of light. The patent details the use of either a single moveable flash by targeting the subject on the mobiles screen or the use of multiple light sources. The multiple system could use differently-angled flash units which would individually or collectively be fired according to the required photo and surrounding lighting. 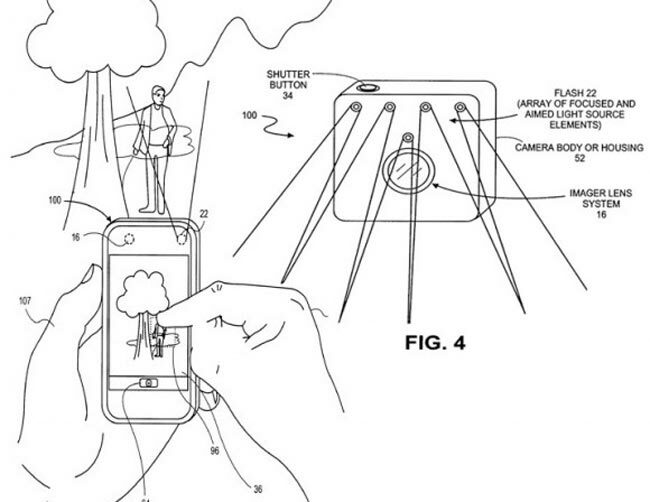 It is suggested in the patent by Apple that both methods could be used for either photography or video.